Learn how the Nashville band, who scored a #1 Billboard Country hit with “Break Up with Him,” keep their live sound engaging and consistent night after night. 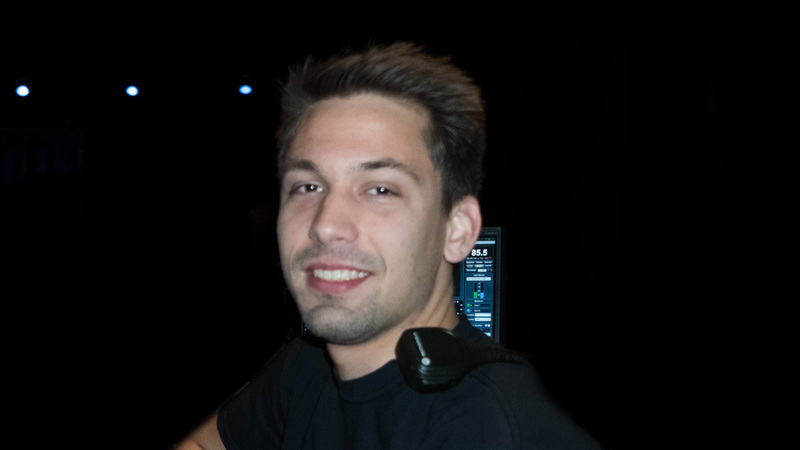 FOH engineer Ian Zorbaugh gives the rundown. 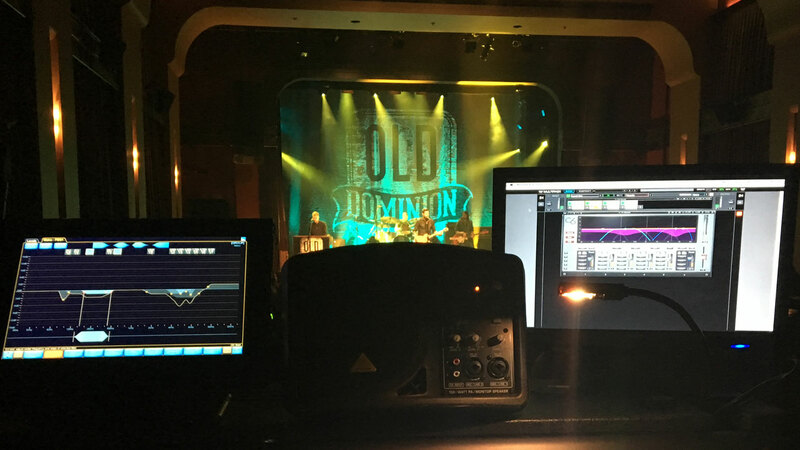 “I’ve been using a Midas M32 console to mix the shows,” says Ian of his work with contemporary country faves Old Dominion. “My console case has a two-space rack installed under the console, where I have a Mac Mini running the Waves MultiRack live plugin host (Native version) mounted in a Sonnet RackMac mini enclosure. Other than a small computer monitor, the rest of the system stays connected in the road case between shows allowing for a very quick setup/teardown. Ian owns several Waves bundles as well as individual plugins: “The Waves Renaissance Maxx and Waves CLA Classic Compressors bundles both get a lot of use in my current setup, in addition to the Waves C6 Multiband Compressor and Waves H-Comp Hybrid Compressor. “The plugin I use the most is the C6, mainly on vocals – de-essing and removing muddy low-mids with the floating bands, and some mild compression with the other four bands to keep things tonally balanced. I also love using the C6 on instruments like electric guitars to get floating bands in the upper midrange to remove specific frequencies that are annoying with certain guitars, but not always present. For example, Old Dominion’s guitarist Brad Tursi has a Telecaster that can be piercing at 2.6 kHz, but when he rolls the tone back or switches to a Les Paul it's too dark if I leave a big cut at 2.6 kHz. Rather than having to automate these EQ changes into each song, a floating band on the C6 tames those frequencies for me without having to think about it. “The Waves CLA-2A Compressor/Limiter is another plugin I use that allows me to get a compression sound that the M32 onboard processing just can’t do, and the coloration introduced just by inserting it onto a channel adds a nice round warmth to the signal. I use this primarily on bass and lead vocals. On bass I hit a good bit of gain reduction with it, probably 5-7 dB in the loudest parts of the show. On vocals I use it more subtly, just taking 2 or 3 dB off the top to smooth things out when my singer gets loud. “I also really enjoy the Waves CLA-76 Compressor/Limiter. I have it on both my primary and secondary snare, plus on my bass before hitting the CLA-2A. On the snares I use a ratio of 4:1, averaging 3-5 dB of reduction, to help them sit in the mix. On bass, I use an 8:1 ratio with 2-5 dB taken off the peaks of the loudest sections. This allows the CLA-2A, which is next in the chain, to be much smoother without reacting to the extreme dynamics of the original signal. I've always enjoyed the flexibility of analog 1176s because of their dedicated attack and release controls. The CLA-76 plugin allows me to have that sound I love in a portable, totally recallable format. “Waves Renaissance Vox is by far the best (and easiest) compressor I've used for helping backing vocals sit well in a mix. I have it as a first compressor on all of my backing vocal inputs, set to consistently hit 4-6 dB of gain reduction. It’s extremely smooth and allows extremely transparent compression. I mix my backing vocals relatively hot compared to some engineers, and Renaissance Vox helps me keep them sitting just below my lead vocal.